QUNEITRA (Sputnik) - The Russian military police have ensured the UN mission's passage to the foot of the Golan Heights through the Syrian territory for the first time since 2011, when the military conflict broke out in the country, Deputy Commander of Russia's Land Force Lt. Gen. Sergei Kuralenko said Friday. 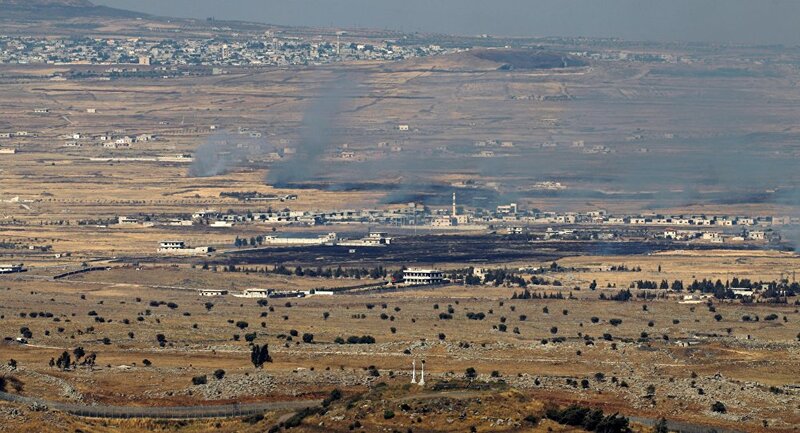 "A very important event took place today, for the first time since the beginning of the conflict in Syria, the UN mission was able to use M-7 road to reach the UN position near destroyed Quneitra, that is, they have been able to pass through the Syrian territory to reach the positions controlled by the Israeli military," Kuralenko said. The deputy commander added that the UN mission's staff in Syria had to go via Lebanon to reach the territory they had to monitor, Kuralenko added. "Today, they [the Russian military police] are examining UN mission's posts that were destroyed in war in order to begin rebuilding them. This interaction shows that Russia adheres to all UN decisions and supports peace in all regions where its representatives are located," Kuralenko said. Israel took control of the Golan Heights in 1967 after the Six-Day War. In 1981, Israel passed the law declaring its right on the territory. However, the law was not internationally recognized. The dispute between the two countries over the territory is still unresolved. The United Nations Disengagement Observer Force was set up in 1974 to monitor the implementation of the ceasefire in a buffer zone. The demilitarization zone was swept in violence during the recent internal conflict in Syria, which significantly complicated the UN mission.